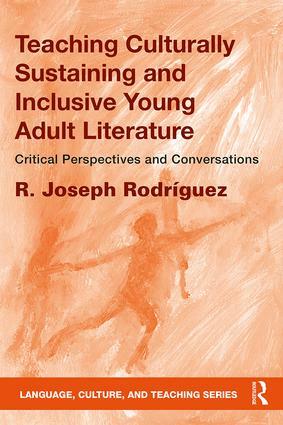 In this book, Rodríguez uses theories of critical literacy and culturally responsive teaching to argue that our schools, and our culture, need sustaining and inclusive young adult (YA) literature/s to meet the needs of culturally and linguistically diverse readers and all students. This book provides an outline for the study of literature through cultural and literary criticism, via essays that analyze selected YA literature (drama, fiction, nonfiction, and poetry) in four areas: scribal identities and the self-affirmation of adolescents; gender and sexualities; schooling and education of young adult characters; and teachers’ roles and influences in characters’ coming of age. Applying critical literacy theories and a youth studies lens, this book shines a light on the need for culturally sustaining and inclusive pedagogies to read adolescent worlds. Complementing these essays are critical conversations with seven key contemporary YA literature writers, adding biographical perspectives to further expand the critical scholarship and merits of YA literature. 6. Jeff Anderson: "We Are Our Stories"
7. Matt de la Peña: "Giving Them Back the Literature"
8. Joe Jiménez: "The Difference between Thirst and Hunger"
9. Guadalupe Garcia McCall: "Books as Small Offerings"
10. Isabel Quintero: "There Is No Hiding from the Self"
11. Benjamin Alire Sáenz: "A Riot in the Heart"
12. Erika L. Sánchez: "A Right to Art"
R. Joseph Rodríguez is Assistant Professor of Literacy, Multilingual, and Multicultural Education in the Kremen School of Education and Human Development at California State University, Fresno, USA. This series of texts for undergraduate- and graduate-level teacher education courses focuses on the intersections of language, culture, and teaching – specifically on how language and culture inform classroom practice. Books in the series are intended as primary or supplementary texts in the growing range of courses that address issues such as, but not limited to, foundations of multicultural education; multicultural children’s literature; teaching diverse populations; foundations of bilingual education; teaching English as a second language; and sociocultural issues in teaching. The primary objectives of the series are to challenge traditional biases about diversity and about students of diverse languages and cultures, and to reframe the conventional idea of the textbook by envisioning classroom practice as critical, creative, and liberatory.